At Sailing Scenes we have been maintaining a lower-than-usual profile over the past few months, for reasons some people people will know about. With our world now returning to something approaching normality – whatever that might be – It’s catch-up time, so we’re starting with one of the more memorable days of this past summer. This year was the Golden Jubilee of the Drascombes (as in the Drascombe Lugger et al) and they held a rally in Weymouth to mark the occasion. We were invited to join in, including taking part in the sail from Weymouth to Lulworth Cove on what turned out to be the most glorious summer’s day. Now Drascombes might not be boats that set the pulse racing. To many sailors, they’re probably just those tan-sailed dayboats that drift gently around our rivers, bays and estuaries as part of the background scenery. There’s much more to them than that when you get to know a little about them, but that’s another story. We have sailed on a lot of boats in a lot of places, but spending a day or a weekend sailing around agreeable parts of the British coast, and exploring creeks and rivers that are out of bounds to bigger boats, can be just as enjoyable and rewarding as crossing an ocean to land on a palm-fringed beach in the tropics. We’ve done both. When you’re in the company of other like-minded souls, this type of boating takes on a highly sociable dimension too. 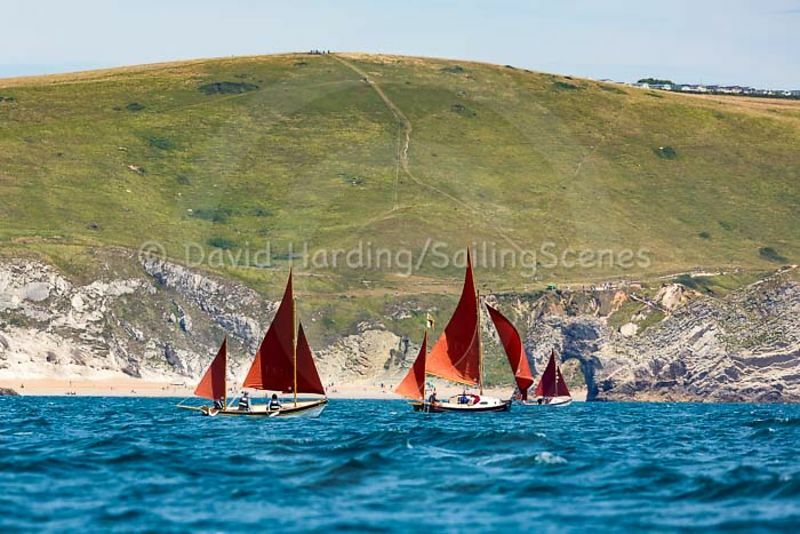 On this occasion there were 50-odd Drascombes in the rally fleet and it was quite a sight as all these tan sails (most boats had at least three) sailed past the chalk cliffs of Dorset on the way to (and back from) Lulworth, where we anchored for lunch. Sailing Scenes were there on a mission, of course – it wasn’t just a day out. 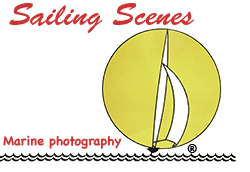 We were writing an article about Drascombes, which appeared in the November 2017 issue of Practical Boat Owner. We also took many more photos than could be fitted into four pages, so if you want to know what the different flavours of Drascombe look like – whether it’s passing those cliffs, off Durdle Door or in Lulworth Cove – you can see them all here.